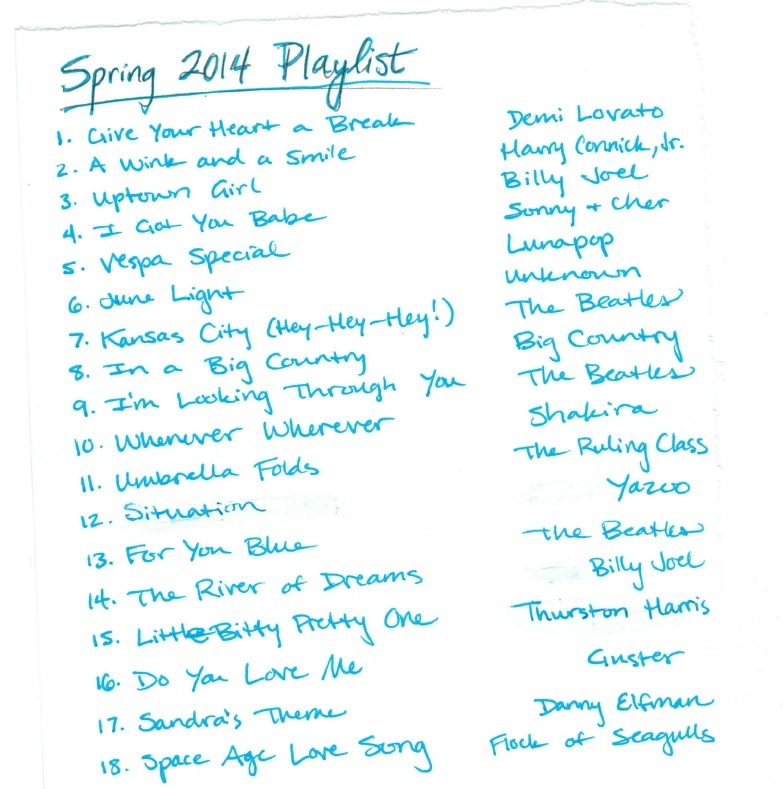 I realized in the manic-panic that was March (and now April, too) I never got a chance to upload my Spring 2014 playlist. So in case you're interested, here's what I've been jamming to these past few months. I think this playlist is actually a pretty great representation of my attention span lately. Spring always puts me in a silly and rather whimsical mood -- and not always in a way I'm proud of. Yes, folks, there's only one time of year when I can gear shift from Thurston Harris over to Lunapop, up to Danny Elfman, and back down to Yazoo. There is only one season in which Demi Lovato and Shakira's pop ballads can seem, on a wild drive home, like brilliant additions to my music collection. Billy Joel & The Beatles are dominating as usual, but as for some of these other guys... I don't even know.